I read a somewhere you said cars don't exist in Neopia and Neopets don't drive but in the haunted woods in the haunted house, that choose your own adventure game, there is a car, and a Neopet is driving it. Also in a game I played once I remember there was also a car, um... so I'm confused now. Can you make me not confused anymore? Hey! Neopets told us the Rainbow Fountain would never come back, why the change of heart? Its a prize you can get from the Haunted Scratchcards game but its HIDEOUS and will be magically transformed into something less ugly very soon. 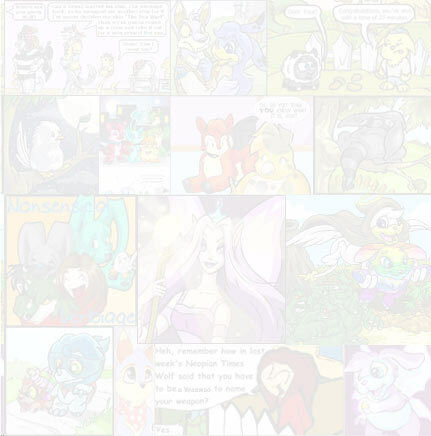 No, we have no adverts on Neopets. Both Adam and I feel very strongly against pop-ups. It may be worth you downloading a program called Adaware from http://www.lavasoft.de. Its free and will scan your computer for any nasty ad popping things that may be installed on it. You can then go through and decide whether you want to remove anything it finds. I use it all the time and its amazing what junk can get automatically installed on your computer without you knowing it. Hmm... good question. I think it must be because it was written by a guy! You can paint your petpet as many times as you like as long as you have the correct paint brushes. They start scratching a lot and moan about being bitten all the time. Whenever I'm just randomly looking for toys in the Shop Wizard, sometimes it searches for a Lord Darigan Toy. However, nobody ever has one. Is it some unreleased item that no one has yet? Correct, we haven't released it yet but here is a sneak preview. Do you win multiple trophies for continued stories? Now you get a trophy for each week your story is published, not just one for the whole series. Yes, but that's all I'm saying! If one of your pets has a petpet they are automatically entered. You don't need to do anything. Its a rather cute Spooky Petpet that you can buy in the Haunted Woods. Where did the "neo" in "Neopets" come from? My rather scatty brain, same as the pet in Neopets :) It just sounded like a good name at the time and well, stuck. If you buy a stone paintbrush and paint your pet, will it become island? No, the stone paint brush doesn't do anything to your pet. 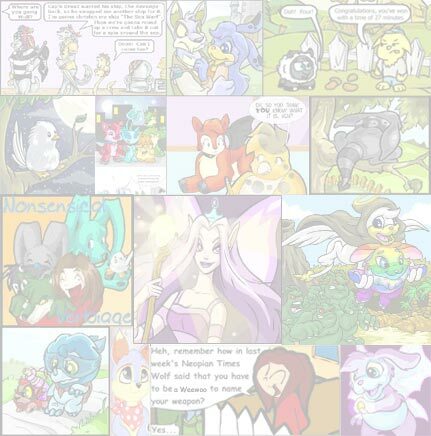 Its just a little piece of Neopian history. If Grundo language is backwards language, then is the name Grundo actually Odnurg backwards? Why did y'all bring back the Rainbow Fountain?! People like me paid MILLIONS on their pets and now other people can get it for free!